BDC 600 Reticle: Developed specifically for the trajectory of the .223 Rem 5.56 NATO round with 55-grain polymer tip bullet at approximately 3240 fps, the new BDC 600 reticle offers shooters unique open circle aiming points and hash marks from 100 to 600 yards. Patent-pending laser activator: This fast, one-touch button makes determining range and taking the shot fast and simple. Low profile mounting system: Places the IRT securely and safely on your rifle. 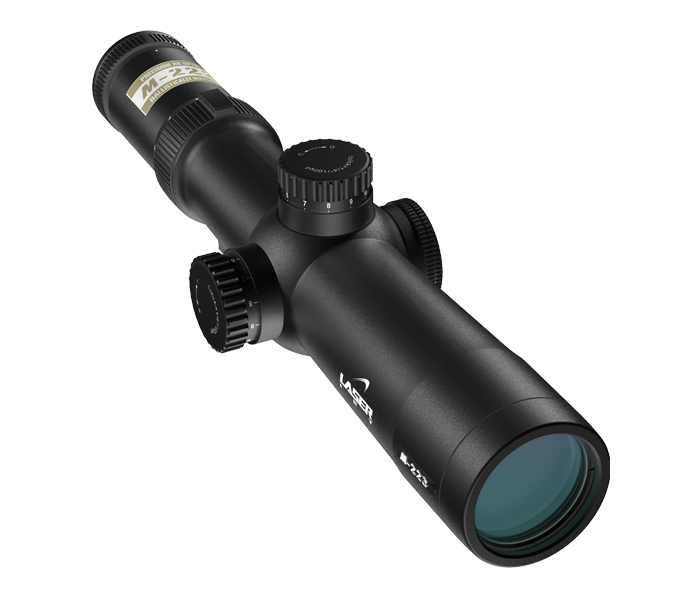 Smooth zoom control: Magnification reference numbers are viewable from the shooter's position.